Dr. Daniel J. 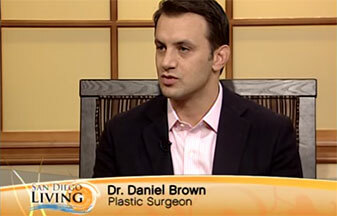 Brown, serves his patients at his two San Diego Cosmetic Plastic Surgery Center locations, for your convenience. Our offices are located in scenic La Jolla minutes from Rancho Santa Fe, Del Mar and downtown San Diego, California, and on beautiful Coronado Island, a block from the Bay. As every individual’s needs and desires are quite different, Dr. Brown will thoroughly discuss your goals and the benefits of multiple surgical options and possible non-surgical treatments. He will carefully guide you and enable you to make the most informed and appropriate decision about your surgery. To schedule a personalized consultation with Dr. Brown, please call 619.461.1500, contact us via email, or request an appointment online on the left-hand side of this page. We look forward to meeting you.